On May 24, 2017, the New York Times published classified photos taken at the crime scene of the terrorist bombing in Manchester. These photos contained secret and classified information that were unfortunately sent to one of the security organizations in the United States—most likely to the FBI and possibly to the CIA or even the NSA. Unfortunately, the FBI, CIA and NSA are no longer secure due to their illegal leaks of information. The leakers are in it either for the money or, like ISIS terrorists, for a cause, political or otherwise. The leakers appear to be completely safe from discovery or prosecution. The May 23, 2017 article containing the classified photographs was written by C.J. Chivers, an “investigative reporter who works for The New York Times Magazine and the Investigations Desk.” C. J. 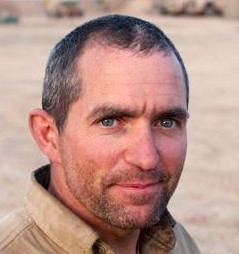 (Christopher John) Chivers was born in 1964 in New York. Chivers was assisted by Mika Gröndahl, K.K. Rebecca Lai, Sergio Peçanha and Derek Watkins in writing the article according to the New York Times. Since Chivers, Gröndah, Lai, Peçanha and Derek Watkins all participated in exposing classified information, one might expect the “authorities” to investigate them thoroughly. Surely, there is a path from one of these individuals to the source of the leak. Unfortunately, nothing has happened to them and they go scot-free and unpunished for their collusion in publishing the leak. “I felt sick to the pit of my stomach,” Burnham said, describing his reaction to seeing crime scene photos published on The New York Times website. Burnham, a former rising star in the Tony Blair Labour Party who was elected mayor this month, said he thought the forensic images were especially distressing to victims’ families. Burnham said he has been to the crime scene, which he called a “harrowing experience,” but he said the families of the victims have not had that chance yet. Meanwhile, Prime Minister Theresa May has raised her concerns over alleged intelligence leaks from the Manchester bombing investigation with U.S. President Donald Trump. May discussed the matter with Trump after they posed with other NATO leaders at a summit in Brussels on Thursday. The U.S. and British leaders talked again later, sitting next to each other at a working dinner. May looked stern, while Trump waved his hands. Manchester police stopped providing information to the United States about the Monday concert bombing after photos of the crime scene appeared in the New York Times. So, the likes of Chivers, Gröndah, Lai, Peçanha and Derek Watkins will go on with their work—unpunished and unafraid. Ignoring Chivers, Gröndah, Lai, Peçanha and Derek Watkins, should we also ignore Comey, Brennan, Clapper, Muller, Alexander and Rogers? Some, if not all of these CIA, FBI and NSA Directors have failed miserably in their duties and ruined the reputations of America’s intelligence organizations.